I’m pleased to announce that my iBook Portland’s Japantown Revealed was just named “Best Textbook” at the international iBooks Author Conference. “The iBAs“ are the only peer-nominated, peer-voted awards for best-in-class achievement with Apple’s iBooks Author. I was honored to be a finalist in six categories – #humblebrag. 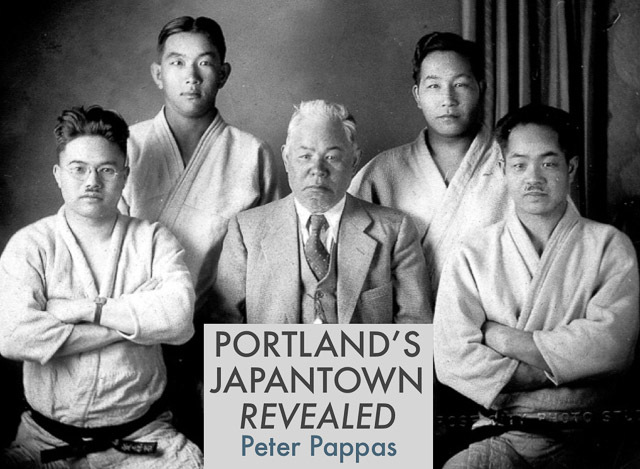 The iBook is a collection of historic documents, photographs and video interviews with former Japantown residents that tell the story of Portland’s “Nihonmachi” (Japantown) – a once vibrant community that disappeared with the forced removal and incarceration of its citizens. It’s the fourth title in my Homefront USA series of iBooks. The “iBA’s Best Widget of the Year” award was given to my iBook’s “Portland Revealed” widgets that allow the reader to blend historic and contemporary photographs. I created them by seeking out locations of historic photographs where the architecture had been preserved and re-photographing the contemporary setting. The resulting overlay lets the user “paint” the historic figures into modern settings – it’s demonstrated in this video. Explore Portland Oregon’s historic Japantown with this user-friendly walking tour. The city’s vibrant pre WWII Japanese American community is archived in over 125 photographs and audio clips. Watch historic Japantown street life reappear in “then and now” photographic dissolves. Share content with built in Facebook and Twitter buttons. 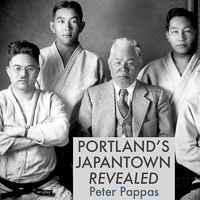 This GPS-enabled app guides you through Portland’s eight block Japantown, a bustling community in the early decades of the twentieth century – better known today as the colorful Old Town / Chinatown neighborhood. Many thanks to Portland’s Oregon Nikkei Legacy Center and the Densho Digital Archive for project support and access to their archival collections. The iBook is an outgrowth of a project that teamed my University of Portland edMethods students with the Nikkei Legacy Center.